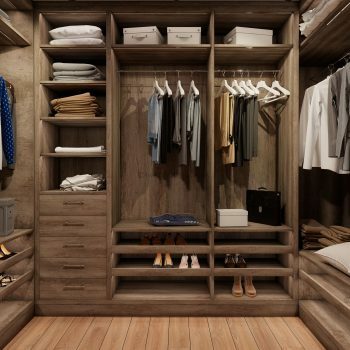 The St Johns Wood walk in wardrobe is a modern dressing room created for customers who like the feel of space. 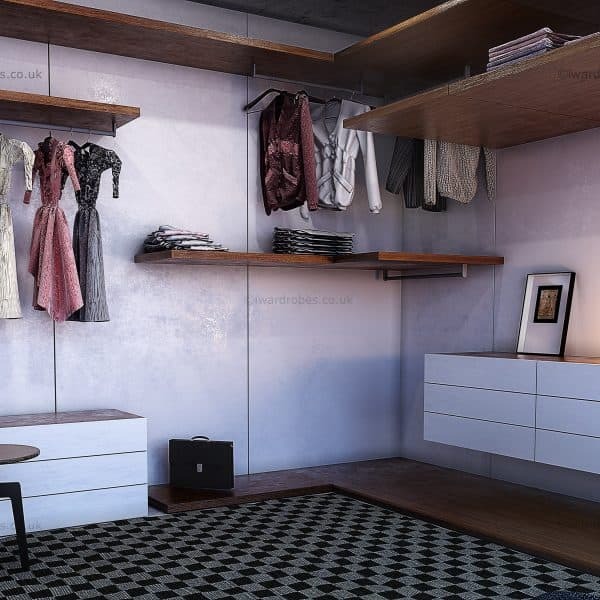 The open plan walk-in wardrobe comes without carcasses that ads and airy look and feel to your room. 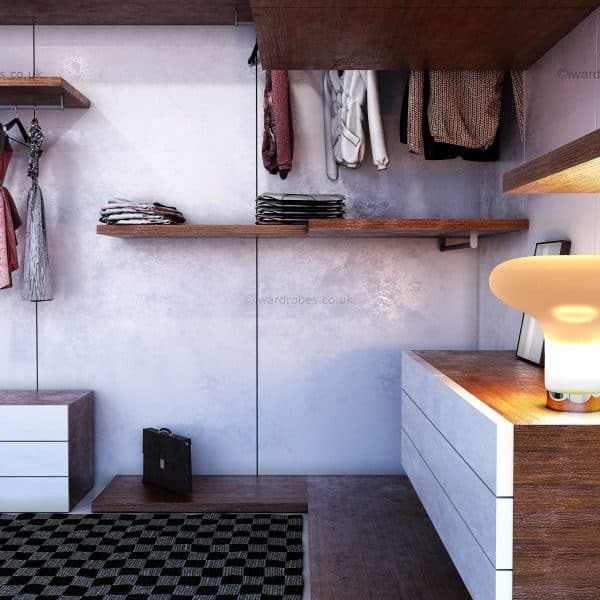 The unit comes with the panels mounted on the wall and floating shelves and chest of drawers. 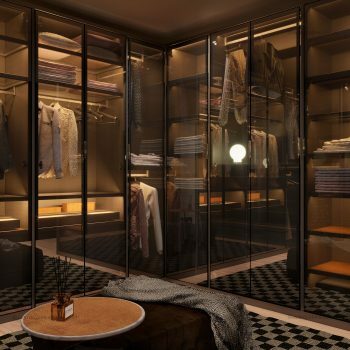 The shelving can be fitted with the hanging rails underneath, that would not only help to keep the clothes from the dust, but also can be a great place to keep bags, shoes, photos, smaller garments etc. Shelves can also come with accessory sections for belts, jewellery, underwear, ties etc. To add more light and dramatic look LED light strips movements censors or switch can be fitted. The St Johns Wood dressing room has a modern minimalistic look, and it looks just great with sleep push-to-open chest of drawers. 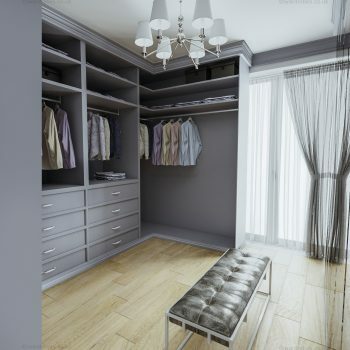 However with iWardrobes the only limit is your fantasy and taste. 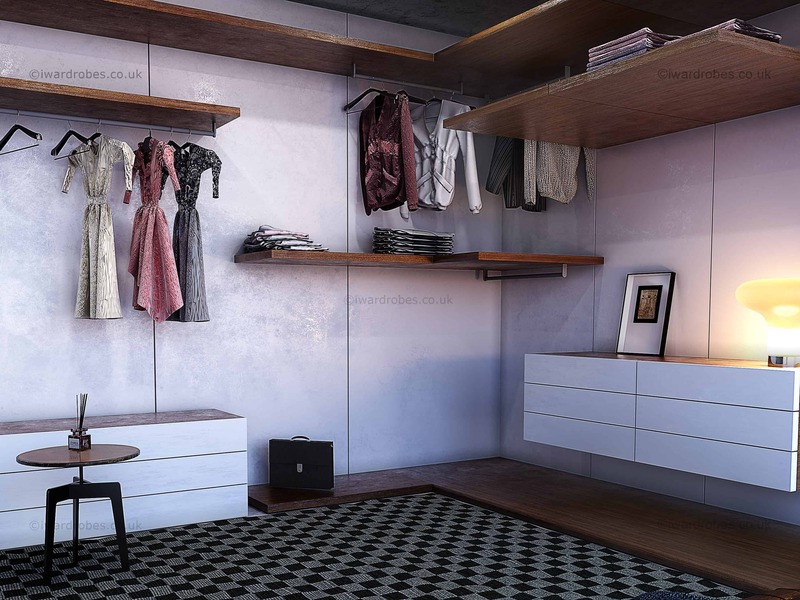 The walk-in wardrobe could come with deep structured wood-effect, eco-leather, high gloss panels. 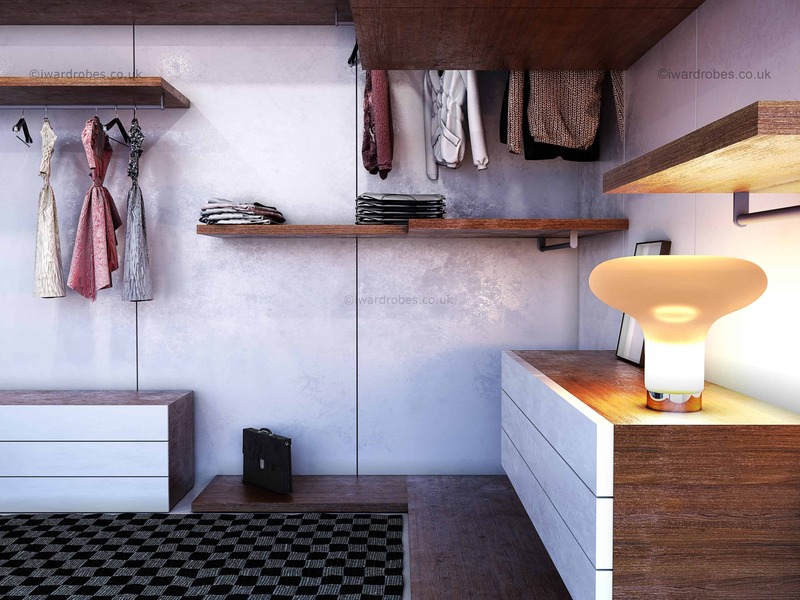 Would you like to add a dramatic look to your dressing room? How about dark or bright coloured panels, different colour shelves? As iWardrobes we are ready to make the most unusual, brave and eccentric ideas into reality.